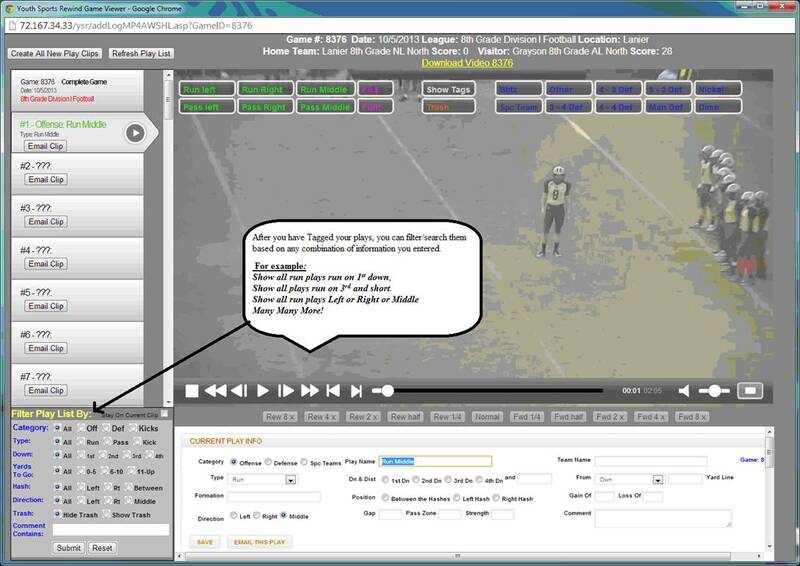 Our Online Game Film Play Tagging Module! Chart Your Opponents Tendencies Quickly And Be Prepared! 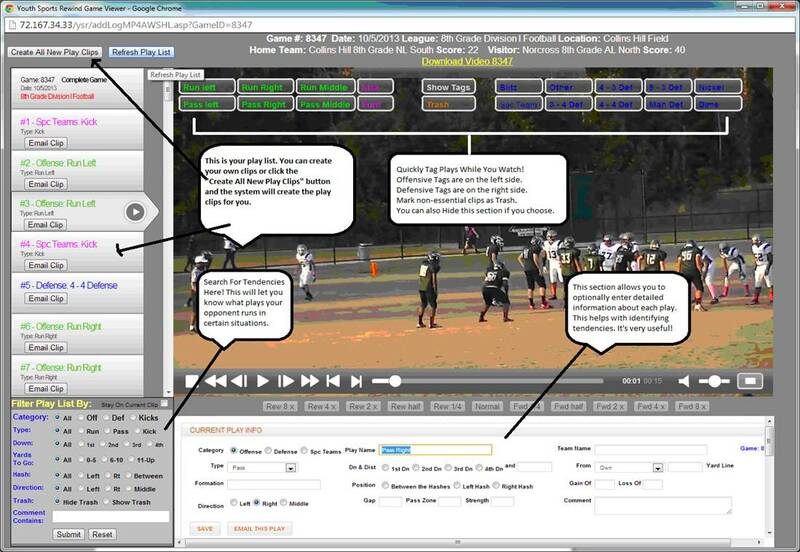 Automatically Cuts Game Film into Separate Plays for You! Click the “Create All New Play Clips” Button (This generally will take a couple of minutes. This will create a playlist of Game clips which you may now Tag. The top item in the playlist is the Full Video. 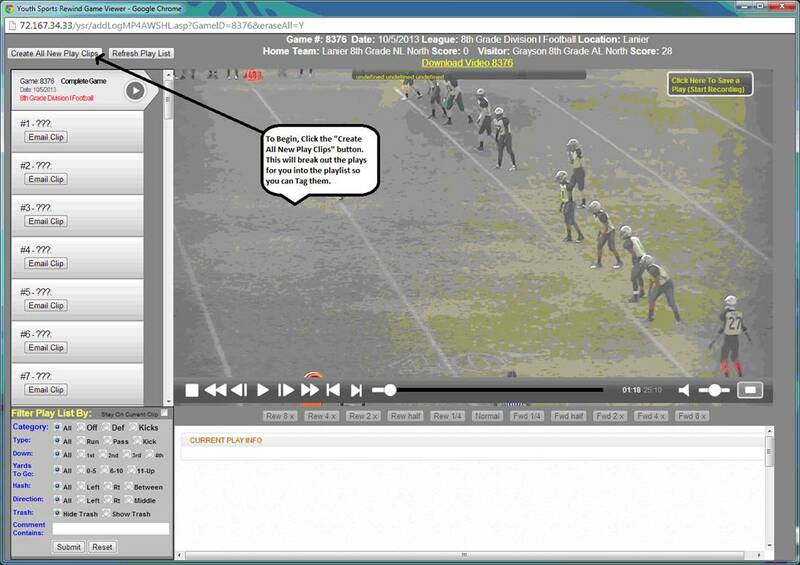 Play it if you want to cut your own play clips by clicking the “Start Recording” button. Click the appropriate On Screen Tag for the Play and It will be saved. If you look in the bottom segment of the page “Current Play Info”, you will see your Tag Definition. You can fill in all or none of the additional info if you choose. After you have tagged your plays, click the “Refresh Play List” button which updates the playlist with your Tagged Info. 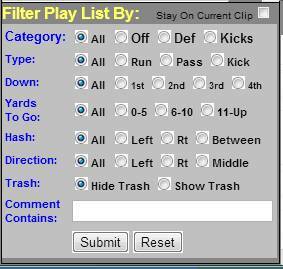 After you have Tagged your plays, you can filter/search them based on any combination of information you entered. For example: Show all run plays run on 1st down, Show all plays run on 3rd and short. Show all run plays Left or Right or Middle, etc. 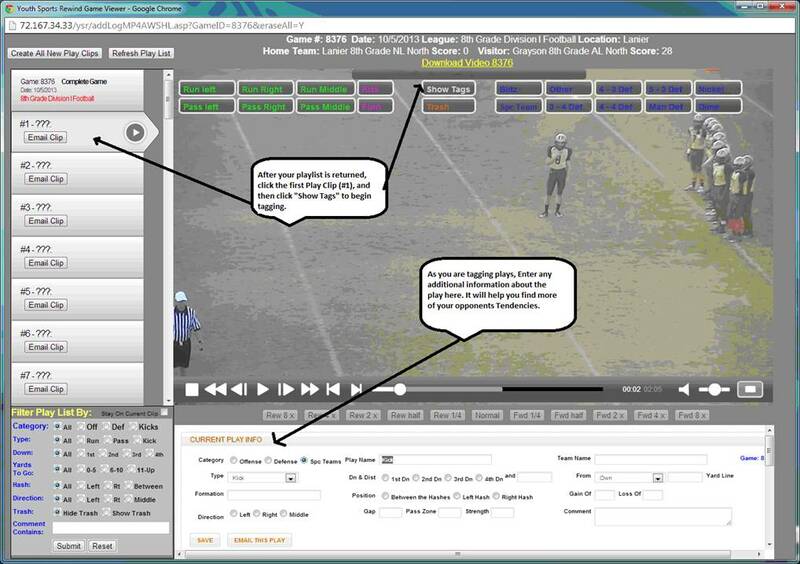 You can literally create a tendency sheet for your Defensive Coordinator or Spotter to use during the game. This is why it’s valuable to enter as much information about each play as possible.